The Department of Defense’s office of inspector general has released a new report to help non-auditors understand the findings of the first departmentwide financial audit in fiscal year 2018. A team of over 1K auditors visited more than 600 DoD sites and evaluated over 90K sample items and found that 13 of the 21 DoD reporting entities received disclaimers of opinion, which means that an auditor fails to obtain sufficient audit evidence on which to base an opinion, according to the report released Tuesday. Five of the reporting entities secured “clean” or unmodified opinions, while one organization received a qualified opinion and the other two failed to complete the audits. DoD IG said it expects audit opinions on the Defense Information Systems Agency’s General Fund and Working Capital Fund to be issued in January. 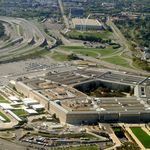 The five DoD components that received unmodified opinions are the U.S. Army Corps of Engineers-Civil Works, Defense Health Agency-Contract Resource Management, Military Retirement Fund, Army Sub-Allotted and the Defense Logistics Agency Sub-Allotted. As of Nov. 30, the inspector general and auditors from independent public accounting firms issued approximately 2.4K notifications of findings and recommendations to DoD components. Auditors classified the NFRs and identified 129 material weaknesses. Most of the weaknesses are related to information technology, such as security management, system changes and inadequate controls over access, the report noted. Other material weaknesses identified include universe of transactions; inventory and related property; Fund Balance with Treasury; and financial statement compilation. The report also noted that reporting entities recorded 37 episodes of non-compliance with laws and regulations.